One cloudy, rainy day in the Portland, Oregon area, my husband and I found ourselves ready to relax. We had been watching our kids play outside for the first time since last fall and couldn’t wait to sit out back on the deck and enjoy all the green trees and blue skies. So when the time came you can imagine how we felt to see the dripping leaves and grey skies! 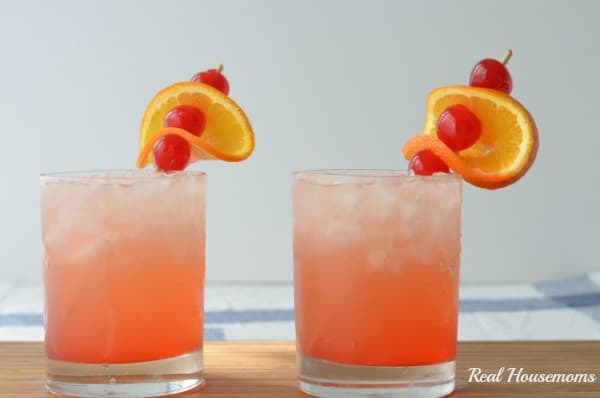 That’s when I was inspired to make a drink that would help us fake it till we make it, Tropical Sunset Cocktail! It is soooo good. It looks like a beautiful setting sun in the tropics and it tastes like the best fruity drink ever! It’s great because it’s not too sweet! 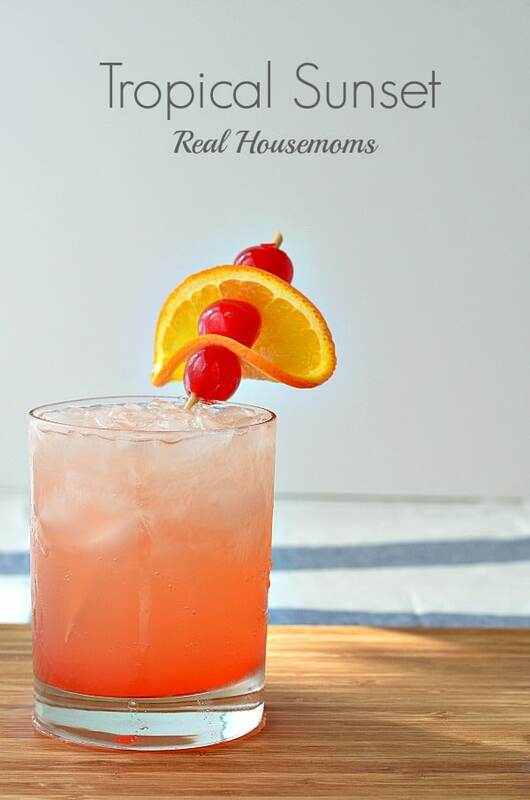 This cocktail has grapefruit juice and pineapple juice and they really balance each other out. Then those are mixed with rum, and flavored vodka to make a party in your cup. We took our drinks out on the deck with some blankets and listened to the rain and then the frogs and it was Heaven! I am from the NW as well (SW Washington). It gets so dreary around here, last winter my husband and I went to Belize and this cocktail reminds me a lot of the one I had almost every day. It had gin instead of vodka, but similar! Thanks for sharing so I can pretend like I’m back there. It’s 5 o’clock somewhere. Let’s toast to the beauty of this drink! The color of this drink is just gorgeous, Sommer!